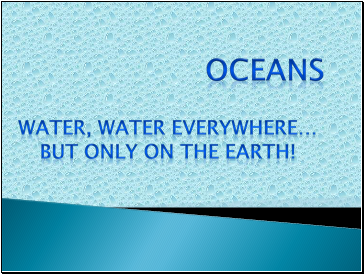 But only on the Earth! 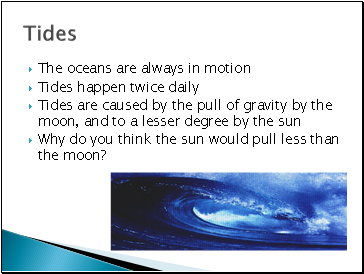 Why do you think the sun would pull less than the moon? 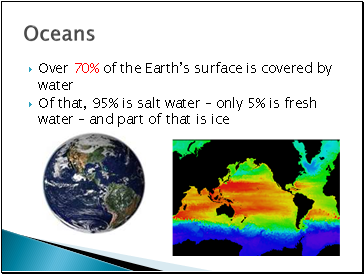 These waters make up about 10% of all the water in the ocean. 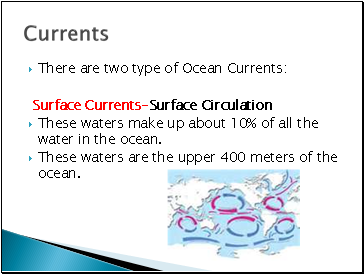 These waters are the upper 400 meters of the ocean. 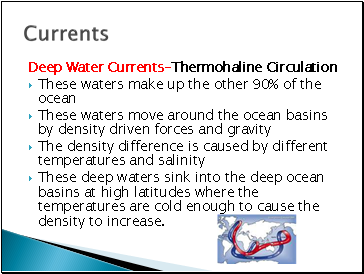 These deep waters sink into the deep ocean basins at high latitudes where the temperatures are cold enough to cause the density to increase. 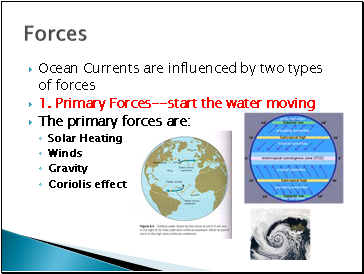 Solar heating cause water to expand. Near the equator the water is about 8 centimeters high than in middle latitudes. 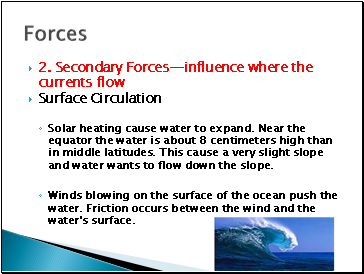 This cause a very slight slope and water wants to flow down the slope. 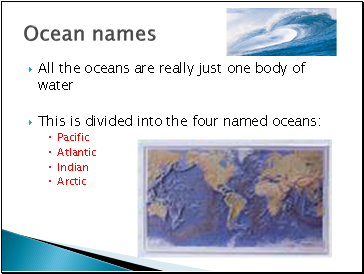 Winds blowing on the surface of the ocean push the water. 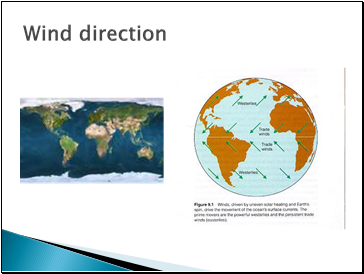 Friction occurs between the wind and the water's surface. 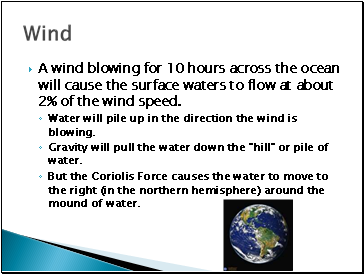 A wind blowing for 10 hours across the ocean will cause the surface waters to flow at about 2% of the wind speed.